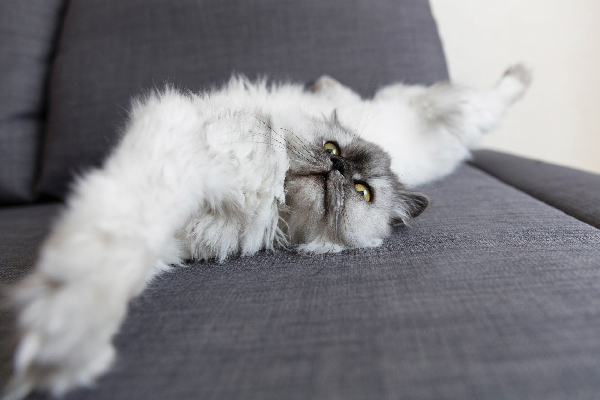 Unfortunately, what can kill your cats could be lurking around your household. Wine, tuna and yarn are just a few of the things that could kill your cats. I’ve always fed my cats canned tuna as a special treat, and without a second thought, I’ve given them rubber bands and bits of string to entertain them while I’m at work. I assumed I was keeping them well-fed and amused. But I have to rethink these plans, because these things are potentially hazardous to my kitties. So, what can kill your cats? Every cat parent should be aware of these eight common foods and household items that can kill your cats. If you think your cat has been poisoned, take her to the vet ASAP. You can also contact the ASPCA Animal Poison Control Center at 888-426-4435. A little bit of tuna can be good for cats, but too much tuna will give your cat mercury poisoning. Photography ©willcao911 | Thinkstock. Giving your cat a little bit of tuna is fine — and mixing it with new foods can even help your cat transition to a healthier or raw diet. But it is possible to have too much of a good thing. 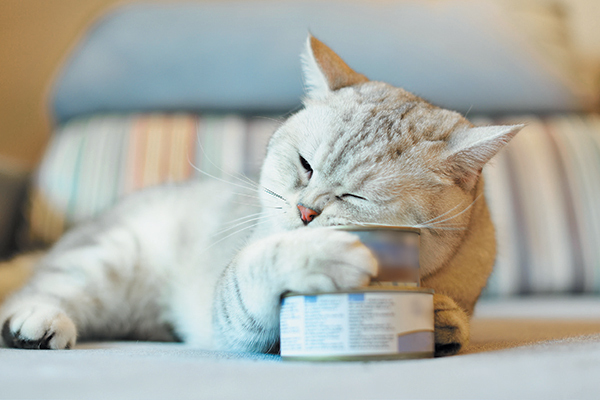 A steady diet of canned tuna will not give your cat the nutrients she needs — and it can cause mercury poisoning. 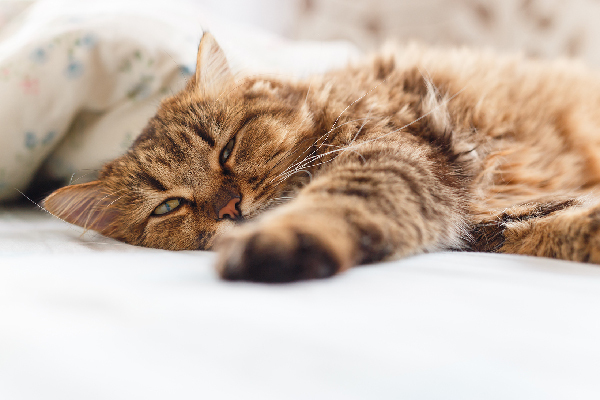 Even small amounts of grapes or raisins can cause kidney failure in cats. Excessive vomiting and hyperactivity are early signs that your cat might have taken her luxurious lounging a bit too far by munching on the gods’ fruit of choice. 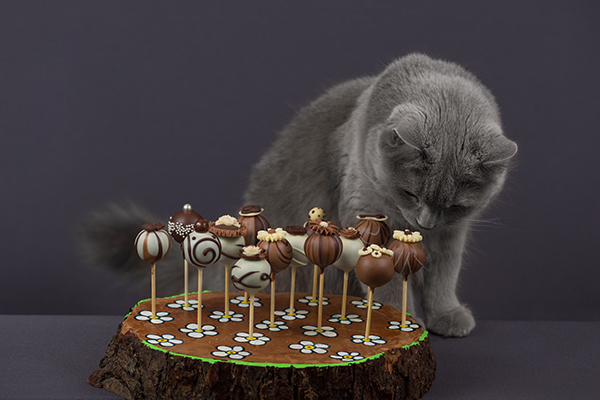 Chocolate can be very toxic to cats. Photography ©cunfek | iStock / Getty Images Plus. Chocolate may be a sweet treat for you — Ben & Jerry’s Half Baked, anyone? 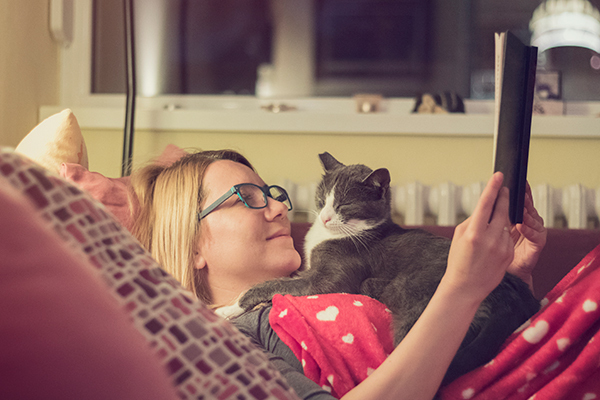 But no matter how your cat may try to woo you with solicitation purring, do not give her a bite — chocolate is toxic to cats! Thebromine, a bitter alkaloid of the cacao plant found in chocolate, can be lethal to cats. And it’s in all kinds of chocolate — even white chocolate. Dark chocolate and unsweetened baking chocolate are most dangerous and can cause abnormal heart rhythm, tremors, seizures and even death. Consider this when building your bouquets: Lilies are toxic to cats. For all of the details, check out resident Catster vet Dr. Eric Barchas’ post about lily toxicity and cats. As little as two leaves can cause kidney failure and potentially kill a cat within days. Symptoms include drooling, vomiting, loss of appetite and increased urination, followed by lack of urination after one to two days. The sooner your cat receives treatment after ingesting a lily, the better her chances for survival. 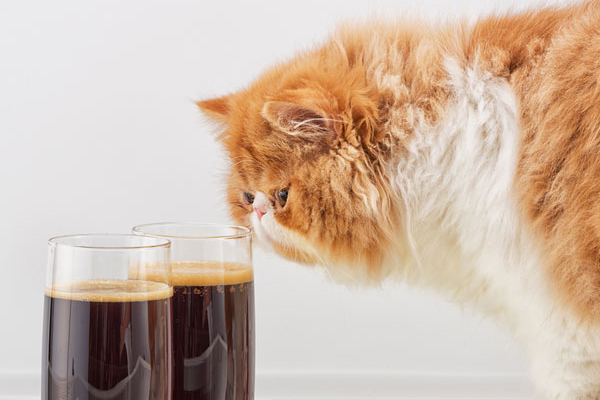 Be careful — beer and any sort of alcohol can kill your cats. Photography by Anatoly Timofeev / Shutterstock. 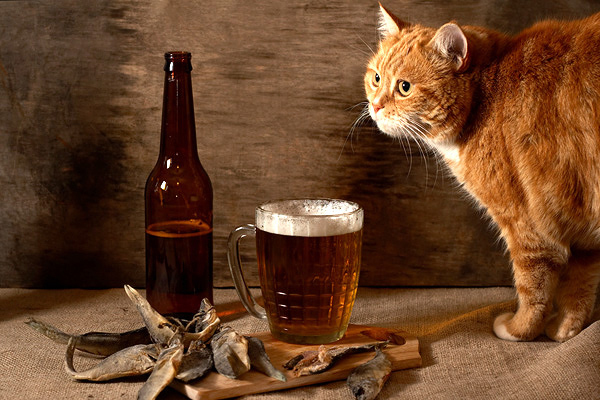 Alcohol has exactly the same effect on your cat as it does on you — except it takes far less to get your kitty wasted. Only a few sips of booze will have your cat slurring her meows and making out with strangers, and as little as two teaspoons of liquor can put her into a coma. If you want to show your kitty a good time, best stick to the catnip. Acetaminophen can be found in many over-the-counter pain relievers and other medications, and cats are especially sensitive to toxicity. In other words, if you drop a Tylenol on your white tile floor, do not give up looking until you find it! Symptoms of acetaminophen toxicity can include brownish-gray colored gums, labored breathing, swollen face or neck or limbs, hypothermia, vomiting, jaundice and coma. 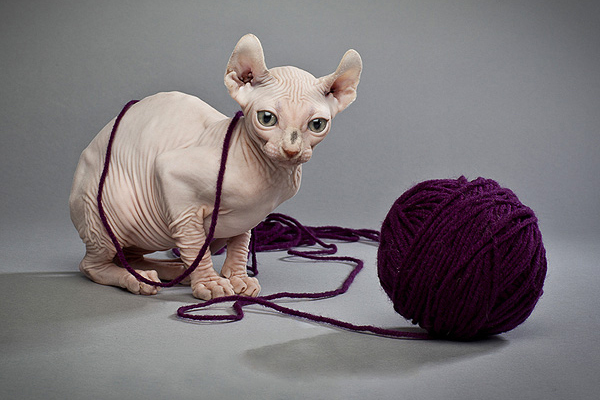 Yarn may be synonymous with cats, but it can actually kill them. Photography by Dan Kosmayer / Shutterstock. 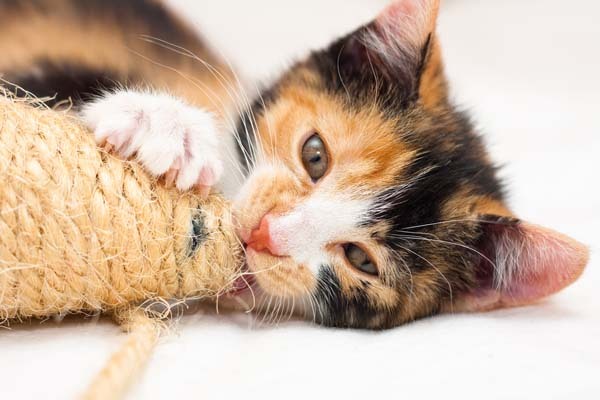 We’ve all seen those adorable posters of wide-eyed, fluffy kittens batting around a ball of yarn. But the damn cute factory needs to stop perpetrating these lies, because yarn — and string, dental floss and rubber bands — can kill a cat. Once a cat starts swallowing a piece of yarn, she will keep swallowing, and swallowing, and swallowing. The resulting mass of yarn can cause intestinal blockage, which can result in death. So maybe stick to the feather toy and the catnip banana — or just put the string away when playtime is over. Its juicy innards may feel good on your sunburn (and did you know about these other (human-only!) uses for aloe vera? ), but the aloe plant is poisonous to cats. Symptoms include vomiting, depression, diarrhea, anorexia, tremors and change in urine color. Thumbnail: Photography by Gladkova Svetlana / Shutterstock. Did cat like to eat chocolate ? What what is the best solutionor faster way to safe them if found eaten chocolate ? The neighbors cat encountered my cat again yesterday and wanted to fight again, both of them growling and ready to fight again which I intervened. My cat has been fixed. Are they fighting claiming their boundaries? I got my cat from SPCA about 2 months ago. Her name is Cookie. Hi Gill, We recommend not feeding your cat any human foods without a vet’s okay first. Maybe the crinkling of the chips bag sounds like the crinkling of her treats bag, and she just wants a cat treat! Are we talking about canned tuna for humans, or cat food canned tuna? Salt can also be toxic to cats. The old salt water, or salt and mustard remedies have killed more people and pets than saved. For humans, syrup of ipecac is safer. For pets, ask a vet. 8 years ago our cat Tiger got poisoned. Early one morning I was just finishing a bike ride and Tiger came running up to me. This was unusual in itself because Tiger is always out doing his ‘cat thing’ at that time of day. So, anyway, he came up to me meowing like crazy, like he was trying to tell me something. He followed me into the house and then started to wobble and then fell down and not be able to get back up. I knew right away he got poisoned somehow and yelled to my wife that our Tiger was dying. My wife, bless her, knew just what to do. She forced warm water with lots of salt down his throat until our Tiger started running at both ends. All the way to the animal hospital he was thrashing around in his carrying cage and making a sound of pain deep in his throat. We were actually waiting at the front door when the veterinarian arrived. Well, we admitted him for three days and when we went back to visit him, our Doctor gave my wife a big hug and said that she (my wife) saved Tiger’s life. Such a feel good wonderful story! Yarn! Well on behalf of the crochet and knit community may I say its about how you do it and knowing your kitties. I hoard yarn (my stash is coming close to over lifetime limits) as anti technology saviors. Yarn can be a great toy for our friends if you are interactive with it, never ever leave it with them treat it like those evil plastic bags put it way out of furry reach when not actively using it. Thread esp with needles should be kept away from furry friends. 20 years ago I could put cross stitching down w/o though. 16 years ago Lucy and Tabatha adopted us, one lucky time of catching baby Lucy with my expensive thread hanging out of her mouth with needle attached and cross stitch took a long nap, hence the crochet addiction. If your furry friend eats every thing then leaving them with yarn is a no-no. If they ignore it then maybe your ok. Note this is kinda like the toilet paper disasters I hear about. 40 years and mine have yet to look twice at it. For the record save your self and furry rulers use recycled bags that can be used many times.